Further, On Tuesday January 29, 2019, Nolly King Jr., 36, pleaded guilty to distribution of crack cocaine and Thaddeus Hendricks, 39, both of St. Croix, pleaded guilty to distribution of cocaine, before Judge Cannon. According to plea agreements filed with the court, in September of 2016, the defendant, Mr Klyvert, aka “Family”, told a confidential human source (CHS) that he wanted to begin supplying cocaine to the CHS directly, now that one of Mr Klyvert’s associates was dead. 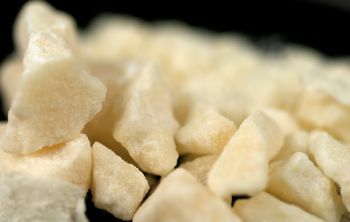 Through phone calls and text messages over the next few months, Mr Klyvert informed the CHS that he had a kilogram of cocaine in Florida; that Mr Klyvert would contact the CHS once the cocaine arrived in the United States; and that the CHS would need to travel to Florida to receive it. The CHS picked up Mr Hendricks at the Cyril E. King Airport in St. Thomas and transported him to the Palms Court Hotel. The CHS gave Mr Hendricks $22,000 in exchange for cocaine that the CHS had previously picked up in Orlando. Mr Hendricks returned to St. Croix, where Mr Klyvert met Mr Hendricks at the Rohlsen Airport. Laboratory tests subsequently confirmed that the cocaine transported by Mr Hendricks had a net weight of over 971.8 grams. Mr Klyvert faces a mandatory minimum sentence of 15 years and not more than life, and up to a $10 million fine. His sentencing date has been set for May 22, 2019, meanwhile, Mr King faces a mandatory minimum of 10 years and not more than life and up to a $10 million fine. Mr Hendricks faces a mandatory minimum of 5 years and not more than 40 years and up to a $5 million. A sentencing date has been set for May 30, 2019, for both Mr King and Mr Hendricks. The case was investigated by the Federal Bureau of Investigation with assistance from the Drug Enforcement Administration. The case is being prosecuted by Assistant U.S. Attorneys Rhonda Williams-Henry and Melissa Ortiz.